Destiny's second big expansion pack is here, bringing owners of the game a bunch of new content in the form of several story missions, a new cooperative strike, several multiplayer maps and a new replayable co-op mode called Prison of Elders. There's also a lot of subtle changes you'll find, whether it's small UI enhancements, general optimizations, or just an overall feeling of polish. House of Wolves feels a step above the previous expansion in almost every way. The new story missions feature a variety of new areas to see, new tasks to complete, and even some new tweaks on enemies to face. While there isn't any completely new races, the new varieties of Shanks likes the tracer or the Wolf Captain Vandal help mix things up. There's a new gun you'll acquire early on that feels eerily similar to the Halo 1 pistol but is an absolute treat to use. You'll find fully voiced dialog throughout the entire run with a brand new character as you hunt down the Wolves. It took us about two hours to complete the handful of missions, including the new strike - which you can watch below. On top of the new story missions is an entire new social area in The Reef to gather missions, unlock items, and enter into several new modes of play. One of which is the Trials of Osiris - a multiplayer mode that's a bit like the arena in Hearthstone. Three players attempt to achieve nine wins to gain precious loot, lose three times and you're out. Of course there's plenty of new gear to unlock and level up your character with, and new items are earned in any of the new modes. The other new mode of play is called Prison of Elders, an arena mode unlocked after completing the campaign. In this mode of play you'll face off against rooms of enemies with random modifiers and objectives. After completing a set number of waves you'll face off against a boss. Succeed and you can find yourself in a room filled with loot. Fail, and hang your head in shame. Overall I feel the latest expansion adds significantly more value to the $34.99 "Expansion Pass" that Destiny has. That said, I'm not sure if there's enough content between the two expansion packs to justify that cost still. You can pick up each expansion individually for $19.99 if you're trying to keep things on the cheaper side. Destiny's place in the gaming world has definitely been an interesting one to watch. It's a AAA Shooter / MMO hybrid on a console trying to break new grounds in what's traditionally been done with an MMO subscription model on the PC. Of course the MMO subscription model is dying and those games have or are going Free to Play and looking for other ways to bring in income. The kind of content we've been seeing here from Destiny when compared to the content updates many of these free to play games feels pricey. A game like Warframe for instance would have have a lot of this for free. 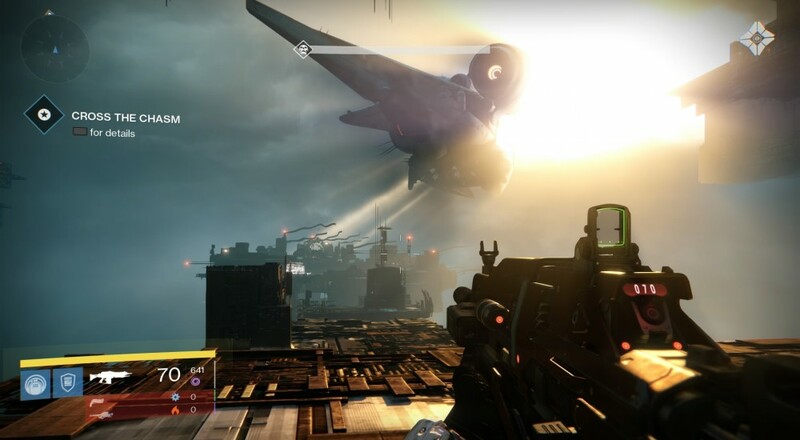 With another major expansion lined up for this Fall for even a higher price players will have spent over $100 to get the complete Destiny experience. Is that something you are willing to do? Page created in 0.4428 seconds.